What to do for hives due to food allergies? Hives or urticaria is a rash characterized by its elevated, reddened bumps that are often itchy. These bumps are bordered by a red flattened area of varying shapes and sizes and often manifest over a large area. Approximately 15-20% of individuals suffer from hives at some point in their lives. In most cases, hives are believed to be linked to food allergies or sensitivity. Remember that hives can be caused by both non-allergic or allergic triggers. Remember that hives can manifest anywhere on the skin. The release of histamine which is the main chemical responsible for the development of hives comes from the mast cells in the skin. The chemical might cause the blood vessels to leak, thus allowing fluid to leak into the tissues and lead to swelling. 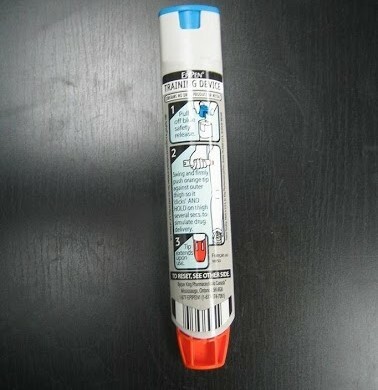 Epinephrine might also be used if acute hives occur along with symptoms of anaphylaxis. The main treatment for hives are antihistamines. The over-the-counter antihistamines such as diphenhydramine are widely used for short-term treatment of the rash. The latest or “second-generation” antihistamines are often chosen since they only cause minimal drowsiness. As for severe or persistent cases, the doctor might prescribe a short course of corticosteroids to minimize the inflammation. Epinephrine might also be used if acute hives occur along with symptoms of anaphylaxis. What should I do if food is a trigger? A doctor should be consulted as soon as possible before the individual stops eating any food that he/she suspects to be highly sensitive to. The doctor will perform allergy testing before eliminating any foods from the diet. Nevertheless, once the exact cause of the hives is pinpointed, avoidance of the trigger is the ideal way to prevent future outbreaks. Minor cases of hives that affect a small area of the body can be managed with over-the-counter antihistamines to minimize the itchiness and swelling. As for cases that cover a large area, manifest after using a new medication or food, does not respond to over-the-counter antihistamines after several doses or triggers intense discomfort, it is best to consult a doctor. In such cases, the doctor might conduct further assessment or provide instructions for home treatment. If the hives occur with changes in the heart rate, difficulty breathing or other indications of anaphylaxis, it indicates an emergency. Even though this reaction is rare, there have been reported cases. 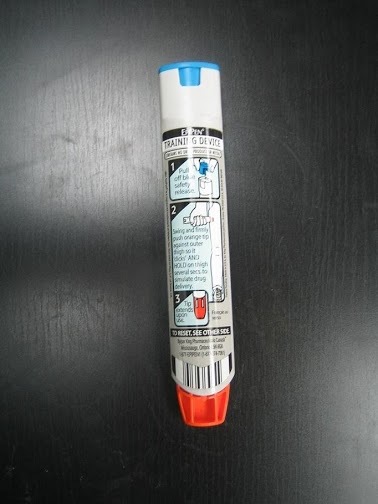 Call for emergency assistance and if an epinephrine is available, administer a shot.